Trinity Hill Gimblett Gravels Tempranillo is a popular New Zealand Red Wine available from TheDrinkShop in 75cl to buy online. Visit TheDrinkShop for the best price for 75cl of Trinity Hill Gimblett Gravels Tempranillo or compare prices on our other New Zealand Red Wine products. The fruit for this wine is grown in the stony, free-draining warm soils of the Gimblett Gravels. Touriga Nacional, also a Port variety is blended in small proportions to add complexity, colour and depth. Tempranillo typically shows very attractive brambly, blackberry-like ripe fruits along with spicy and exotic complexity. The palate is rich and textural with salivating soft tannins. Licorice and chocolate flavours linger on the finish. Where to buy Trinity Hill Gimblett Gravels Tempranillo ? Trinity Hill Gimblett Gravels Tempranillo Supermarkets & Stockists. 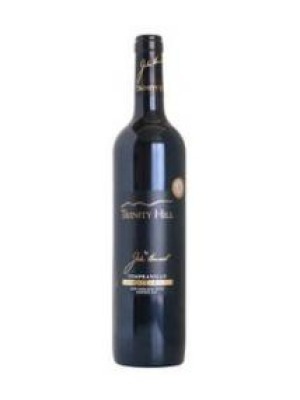 You can buy Trinity Hill Gimblett Gravels Tempranillo online in most retailers and find it in the New Zealand Red Wine aisle in supermarkets but we found the best deals online for Trinity Hill Gimblett Gravels Tempranillo in TheDrinkShop, Amazon.co.uk, and others. Compare the current price of Trinity Hill Gimblett Gravels Tempranillo in 75cl size in the table of offers below. Simply click on the button to order Trinity Hill Gimblett Gravels Tempranillo online now.